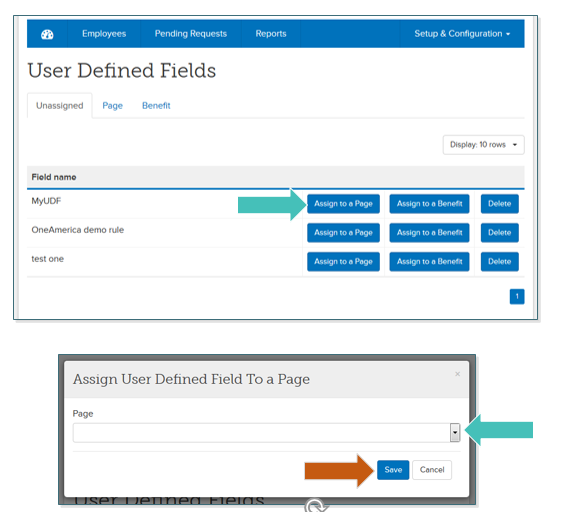 Click on Setup & Configuration, and from the drop-down menu select User Defined Fields. In this example, we will assign verification of spouse employment to the employees profile page. Click on Assign to a Page. Click on Assign to a Page. Using the dropdown box under Page, select the page you would like to assign the UDF. 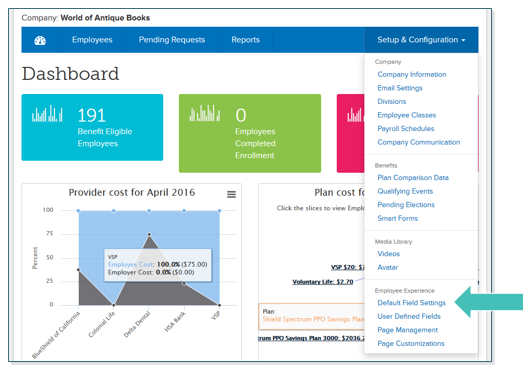 TIP: Assign a Page will add the UDF on a specific page, whereas, Assign to a Benefit will add the UDF on a benefits level, such as spouse employment questions on a medical plan.